Shrimpy’s has been open a couple of months now – a good time to visit after the razmataz has settled. The owners of Bistrotheque, Pablo Flack and David Waddington, are masters of the pop up restaurant, notably collaborating with the Royal Academy for the GSK Contemporary season in 2008/9, among others. 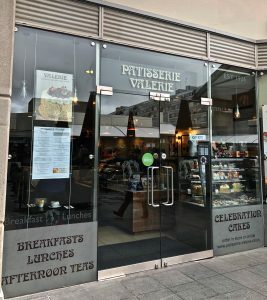 While their base in the East End has been solidly flourishing for 8 years, they are always on the look out for new challenges, so the setting up of a temporary restaurant at the back of an old garage premises behind Kings Cross fits this bill completely. My lunch companion on a hot summer’s day was the charismatic Gorgeous Group founder Robbie Bargh, who rolled up in a vibrant orange shirt and Caribean print shorts, perfect for the Latin American diner. Both of us like being nosy, so we sat on stools at the bar in front of the semi-open kitchen, and ordered small plates of Peruvian ceviche, Roasted calamari with black olive tapenade and Tuna tostada. It was all good. Less successful was the poached quince to follow. I have to say, I’ve never understood the recent popularity of quinces, except to make membrillo to accompany cheese. They were very popular in the 16th and 17th centuries and then fell out of favour, probably because a poached pear is so much better in flavour and texture. We also shared a flamboyant looking dessert, which completely summed up the venue, and this was delicious: a stack of pineapple crisps, marscapone cream, raspberries and mint. It resonates with me still. The premises is supposedly destined for demolition in two years’ time, so it can indulge in its ephmerality. 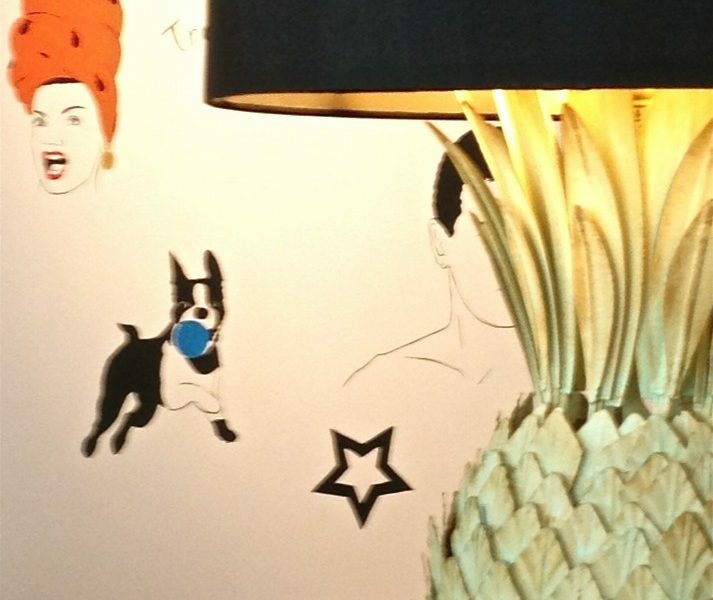 The doodles on the white walls and the pineapple lamps make for a fairytale quality referencing a widow called Shrimpy that the owners may or may not have actually met, on a road trip down the west coast of the Americas. Perhaps under the influence of a touch of mescaline in Mexico? Who knows? What is more tangible are the touches of luxury where it matters: the velvet banquettes and the foppishly threaded white linen napkins through silver rings. The staff are special. Many of them have other interesting lives, and look as though they do, but at the same time, are properly trained. A test for me is how they make tea. Here it is supplied by the Rare Tea Company which also does the training. The person who made mine followed every instruction for a perfect brew. After lunch I wandered over to the canal. There was a cruise tour boat passing an island made from debris held in a net. The guide was telling the story of the area’s re-development. I looked back where Shrimpy’s was visible like a lit stage set, with everyone acting their part. Thoughts of Peter Pan came to mind. It’s that sort of place.